This is day 26 of a 30 day New Year’s Resolution. And if that doesn’t convince you, here’s one of his websites: Domesticated Daddy. Therefore, I feel like he’s qualified to speak about Hipster Dad style. Many “domesticated daddies” (urban hipster dads) are styley at heart, but the doodies/duties of parenthood prevent them from dropping bank on expensive clothes or from wearing stuff too fussy and fancy to muss up. Enter 6 things to Learn from a Hipster Dad. 1. Since, after day-care and babysitting expenses, Urban Hipster Dads don’t have the money for a Panerai watch, they splurge on a really great coffee mug. 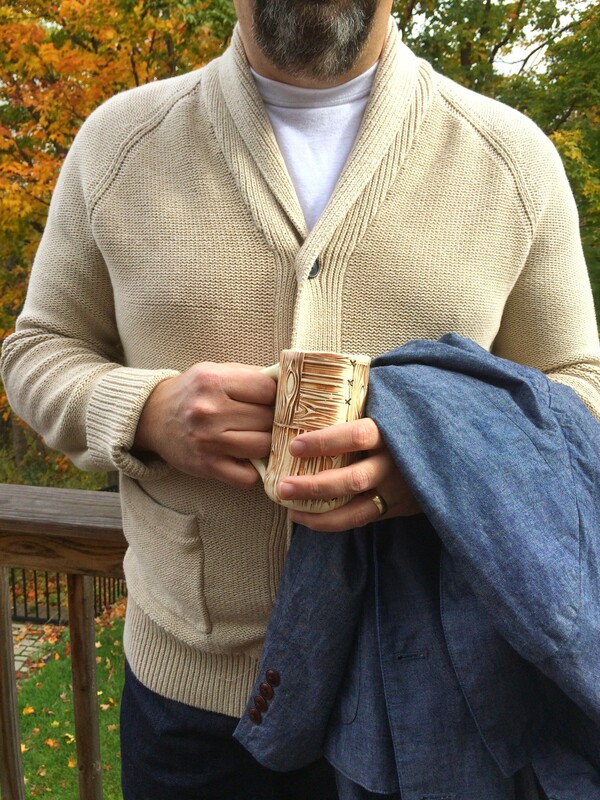 Urban Hipster Dads have a favorite mug they bring with them, everywhere they go. Usually it has coffee in it… it might have PBR. 2. 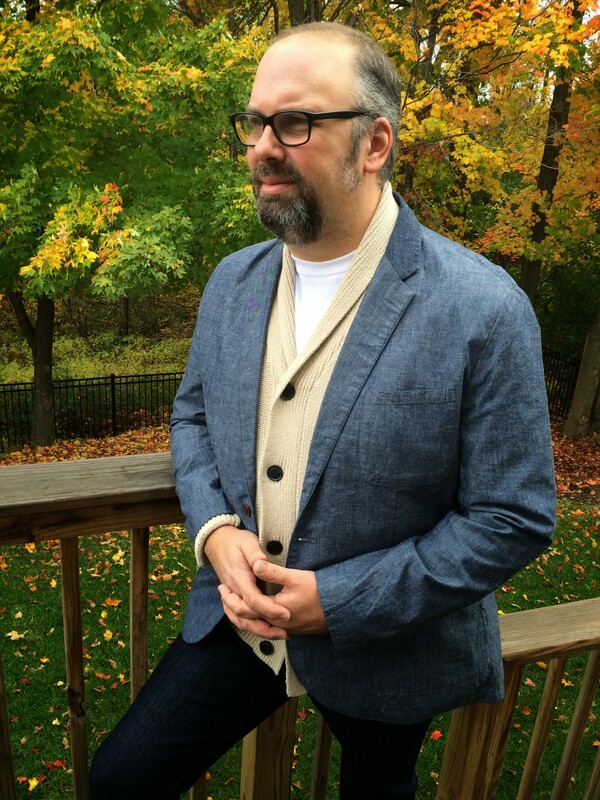 Hipster Dads spend a lot of time covered in the muck and mire of parenthood. White T-shirts are their best friend. They buy ’em 3 at a time and wash the hell out of ’em. 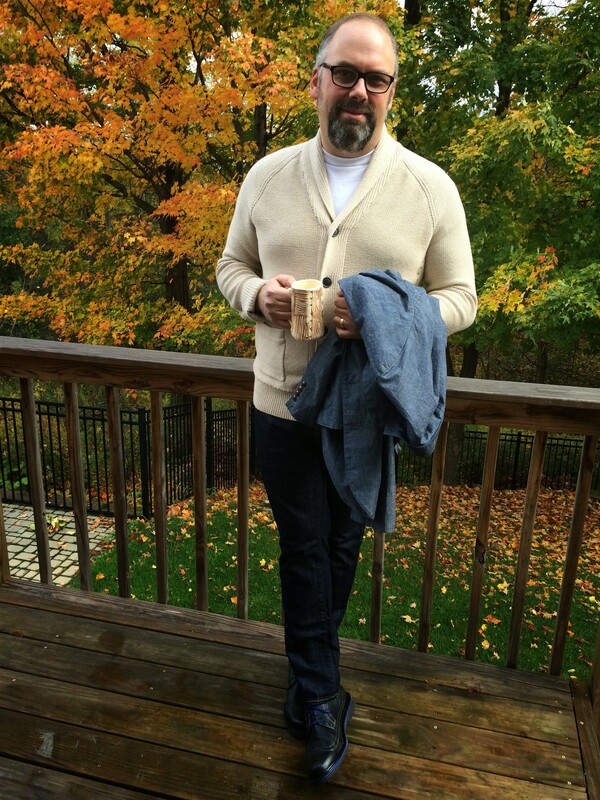 And when they go to the cafe to work on their Hipster Dad projects, they throw on a chunky, cuddly sweater. 3. Urban Hipster Dads don’t need expensive, gourmet denim, only availble from expensive, gourmet denim shops. They get their Levi’s from Target. They pick out the darkest denim they can find, and they run over to the toy section where their kids are opening up the boxes of Hungry, Hungry Hippos. Marbles everywhere!!! 4. 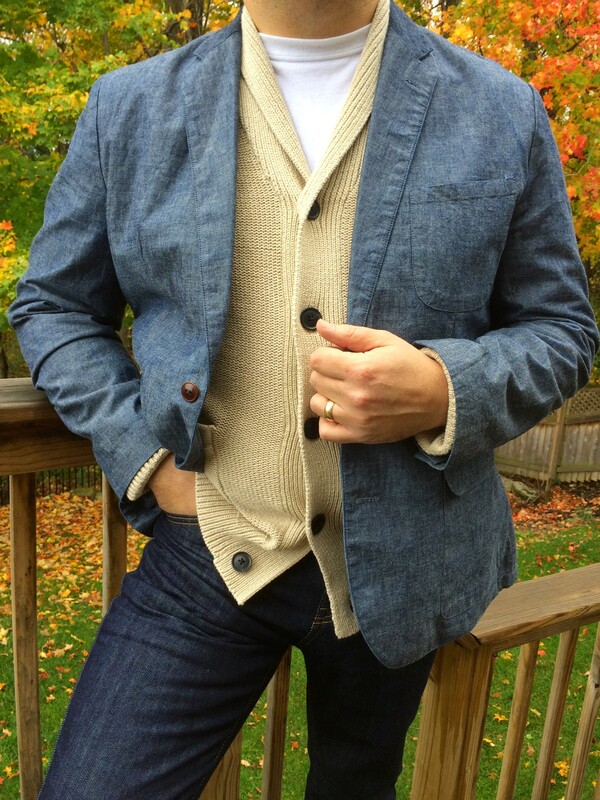 Urban Hipster Daddies make ends meet with a single, all-purpose blazer. Chambray (looks and feels like thin denim) can dress up jeans and a sweater, or can step up to handle a tie at Maple Dale Elementary School Open House Night. 5. 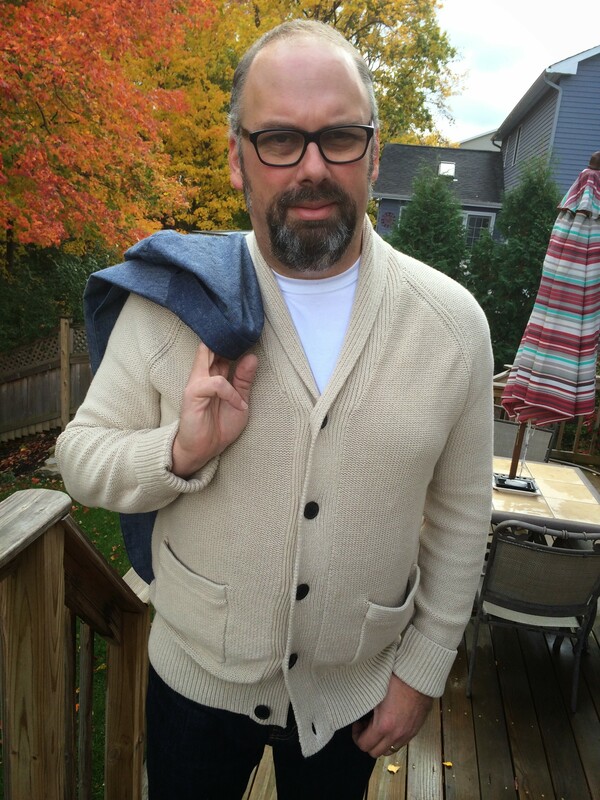 Urban Hipster Dads know that how a clothes FIT is more important than their designer. Shoulder seams hit the shoulders, arms aren’t blousy or puffy, and everything follows the contour of the body. 6. 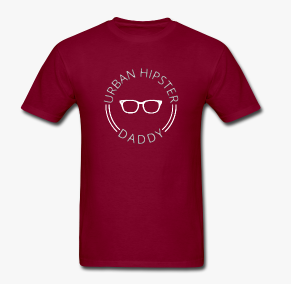 Urban Hipster Dads want to rock some flair, but need to maintain their Daddy Dignity. 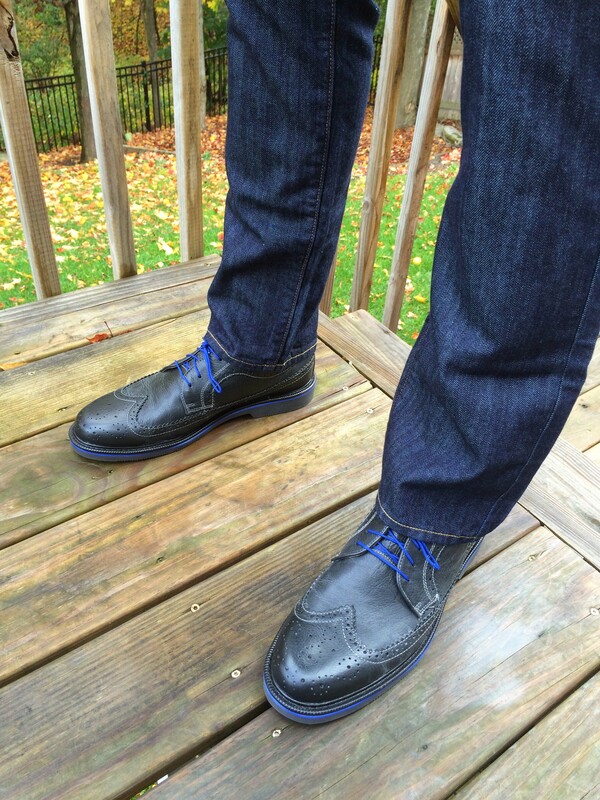 They employ a pop of color in the shoelaces, a tie, a pocket-square…Swag comes in many forms. 7. Urban Hipster Dads know that their greatest style accessory are the little things that make them a Daddy in the first place.